Becoming the owner of this beautiful mansion, you can live autonomously for several weeks without going beyond its threshold. This house is the solution when you want to move away from the rest of the world by living in a lonely mansion located on a plain. Its area is enough to accommodate a whole family of 4 - 5 people. The designers of the mansion decided to use a lot of concrete and boards as you can see in the screenshots. 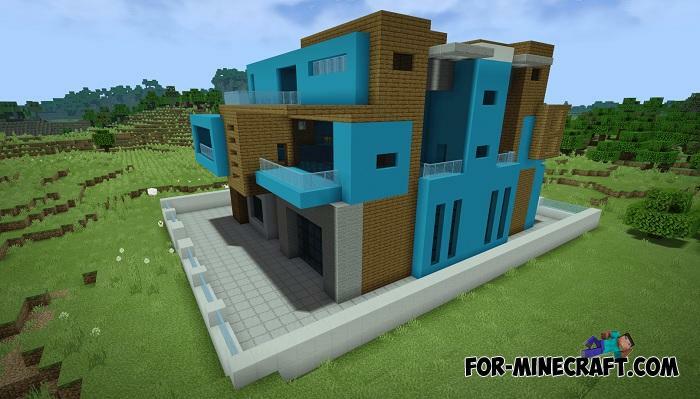 It is the color and design that made it individual and if you want to build something modern and at the same time comfortable for life, then use the mansion as a drawing for construction. SG, like any other of their creation in the real estate class, did not let the interior through and furnish everything as much as possible inside. If you need realistic furniture in a cubic style, then take a look at the Building Materials & Furniture Mod that will allow you not only to equip your home, but also give you a real asphalt road, a working shower and much more, which is not in MCPE. 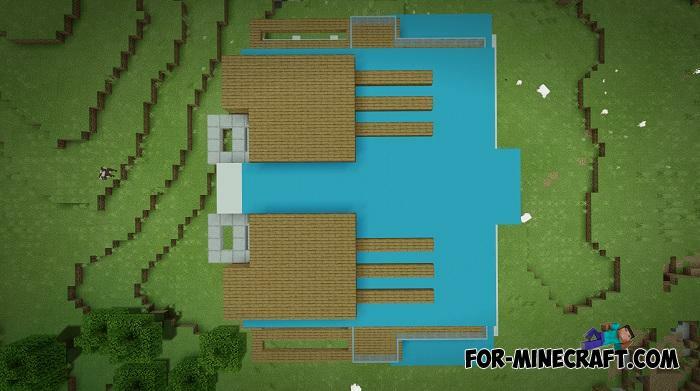 Building Materials & Furniture Mod for Minecraft PEWhat a pity that Minecraft PE has no wallpaper or at least the ability to paint the walls in your favorite color..